I updated the picture in the first post. On July 24th, our second update of Year 2 will be released: Special Operation 2. This update will be available on PC, PlayStation®4, and Xbox One. The size of the patch will be 6GB on Steam, 18GB on Uplay and up to 18GB on consoles depending on your version. Please note that you will need to restart and update your platform to be able to play online. 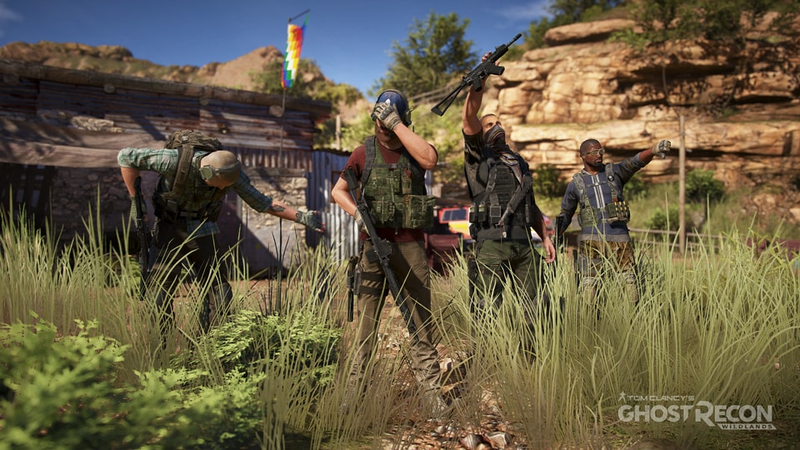 Join Twitch on a mission to track down missing Operative in the Wildlands. Who is this Operative? Why are they here? Head over to Caimanes to launch Operation Revenge and find out. Completing Operation Revenge will reward players with Caveira Gloves, which include Caveira’s iconic CQC move, unlocking the position of all enemies within the vicinity in our Campaign Mode. You can now play all of our PVE Campaigns entirely solo, with no AI Teammates. Simply toggle them off in the game menu for a true, lone wolf experience. Be careful however, as this mode means that each down is counted as a death since there is no one to revive you. Ghost Mode is a new permadeath PVE game mode for those really looking for a challenge. This new, free mode will be accessible through the main menu and can be played in both solo and co-op, and at any difficulty setting. In Ghost Mode you’ll only have one primary weapon to accompany your pistol and you’ll need to really think about when to reload, since the remaining bullets in your clip will be lost. Choose your weapons carefully since they can only be swapped out at ammo boxes. And to up the realism, we’ve also added friendly fire. The realism and challenge of Ghost Mode will not be without its rewards, however. We will be adding milestones you can reach in this mode that will bring Prestige Credits among other rewards. Stay tuned for more intel on the well-deserved rewards this new challenge will bring. On July 24th, Year 2 Pass holders will have one week early access to Ghost Mode. You will now be able to change the face and gender of your character and AI Teammates at any time. Proximity Mines are now available in both PVE and PVP. Things just got a lot more fun. We've added a new feature called "Social Items", which consists of 3 new item categories: Emotes, Voice Lines and Victory Poses, allowing you to further personalize your Ghost Recon Wildlands experience. These items are unlocked through Battle Crates and equipped via a new Social Page. In addition to the Comms Wheel, we now have the Social Wheel, allowing you to choose up to 5 Emotes and 5 Voice Lines to trigger. You can toggle between the Order Wheel and Social Wheel to access your Emotes. Emotes are character animations that can be triggered at any time, such as Face Palm, Lock and Load, and Air Guitar, just to name a few. A maximum of 5 Emotes can be equipped in the Social Wheel at one time. Voice Lines are sound barks that your character says that can be heard only by your teammates or co-players. From tactical to banter, a maximum of 5 Voice Lines can be equipped in the Social Wheel at one time. So ‘Watch your flank, Hero!’. 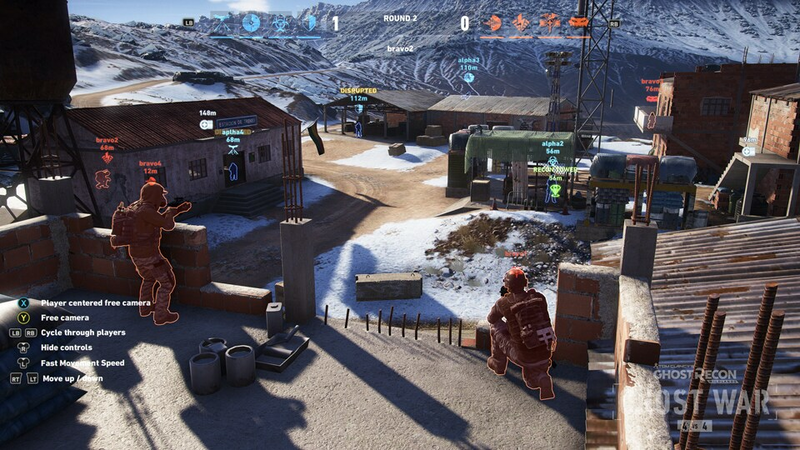 Victory poses are stances your character makes in the victory screen at the end of a Ghost War match, which all players can see. These are triggered automatically and only one can be equipped at a time. A player can now join a custom lobby in a dedicated slot and act as an observer of the match. They will have specific tools at hand that make the match more spectator-friendly, being able to see a player's location, loadout, deployed items, and follow their point of view. Additionally, observers have access to a free-roam camera, allowing you to roam the battle field. A great way to watch matches, this is also a great tool for players who want to watch and organize tournaments! Nodding reference to two veteran Rainbow Six Operators, Doc and Smoke, two new Classes have come to the Wildlands: get ready for Surgeon and Toxic. Surgeon is an Assault class that comes equipped with the famous MPD-0 Stim Pistol. This lets him heal and even revive downed team members by shooting them with it. It has 5 charges and a cooldown, but it's a strong ability that lets him turn the tides of battle and keep his team in fighting shape for long periods of time. This, together with Surgeon's passive HP bonus, make him a strong front-line contestant. Toxic is a Support class that can operate a drone capable of shooting deadly sulfur bombs. These instantly create a gas area on impact that slowly but steadily damages all players caught in it, including allies. 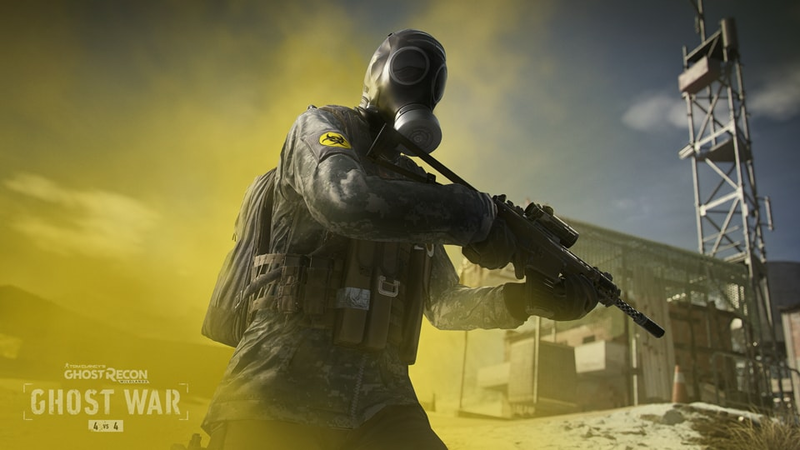 Toxic is extremely effective in negating cover for enemies, as the gas can infiltrate buildings, flushing them out for him and his teammates to take them down or stopping them in their tracks. As opposed to the Guerrilla class, the gas cloud does not blind players, and can be easily seen through. These two Classes are available a week early through the Year 2 Pass, but can also be purchased with Prestige Credits one week post-update. We’ve increased the Trapper's available gas mines from 2 to 3, and have decreased his cooldown time from 40 to 30 seconds. We have decreased the fire rate for the PSG-1, but increased the damage for both the PSG-1 and the G28 rifles. The Desert Eagle is also available to pick as a handgun. The Stalker can now destroy any drone with only 1 shot, and we increased the damage of the SRSA1 rifle. We've reduced the recoil of the Guerrilla's FAMAS G2 rifle. We've reduced the speed of the Echelon's sonar pulse, translating into a longer time interval between detecting enemies. While using the sonar pulse ability, enemy player markers that are outside the screen area are now shown as out-of-screen markers, indicating the general direction of the ping. Our first Ghost War snow map, Checkpoint, is a small Santa Blanca checkpoint at the crest of a small mountain ridge in Inca Camina, that will give you the opportunity for both long and short-ranged combat. The large, snowy hills are the perfect home for a sniper’s nest, while a dense Santa Blanca outpost has just the right cover for CQC teams to engage the enemy! Factory is an industrial factory that has been taken over by the Santa Blanca to hide cocaine. The elevated areas of this map help to provide a fun mix of fast-paced CQC and mid-ranged sniping. Make sure to always cover your teammates’ six! Earn Prestige Credits by completing our new Daily Challenges for Ghost War. You will receive one challenge each day, and can have a maximum of 5 open challenges at a time. They reward you with Prestige Credits depending on their difficulty and can be removed at any time to make space for new ones. Additionally, once per day, you can re-roll a challenge to instantly receive a new one in its place. We've introduced a Progression Bar that tracks your Ranked progress and gives you feedback upon losing and winning matches. Now you can know your position in the current league, and how close you are to promoting or demoting Rank. The Elite Rank will now tell you your exact position in that league, compared to other Elite players. Hence, your position may change depending on the progress of other players, even when you don't engage in Ranked matches. A double XP event will now take place two times per week, each time lasting for 24 hours. This will double all XP sources inside a Ranked match, and will be showcased in the menu whenever it's live. The Prestige system and economy has been reworked to meet community feedback, to offer a more dynamic Ghost War progression experience. Prestige will now be automatically activated upon reaching Level 50, after which you begin again at Level 1. Your unlocked classes, perks and bonuses will not be reset anymore upon activating your first level of Prestige. Every upgrade point will be automatically spent to unlock all non-prestige progression tree items. The Prestige level cap has been increased from 10 to 999, while the Prestige Credits reward per level-up has been decreased from 215 to 115. We've introduced a new type of Crate called, Prestige Crates. Prestige Crates can only be purchased with Prestige Credits, each one containing a customization item. From now on, new customization items will be added to our Spec Ops and Ghost War Battle Crates, whereas Prestige Crates will contain previously released items (minus Icons, which remain available via our Battle Crates only). You can find the full list of all of our Battle Crate Items here. Additionally, we've introduced a counter that increases by 1 for every new item gained from a Prestige Crate. For any duplicate items received, the increment counter increases by 1 and you will receive 10 Store Credits. Every time the counter reaches 20, you will receive a free Battle Crate and the counter resets itself. The Store has been reworked and now features two different tabs – the Store and the Prestige Store. In the Prestige Store, you can buy any item that costs Prestige Credits, like Classes, Armory Packs, or Prestige Crates. This will also allow you to choose your preferred currency, between Prestige Credits or Store Credits, when buying Classes. Armory Packs are an exciting way to further customize your Ghost War Classes. Purchasable via Prestige Credits, Armory Packs contain weapons that are currently available in the Campaign, but may not already exist in Ghost War. Additionally, they are Class-specific. Head over to your Progression Tab to use your Prestige Credits to unlock new weapons for your Classes. Along with the new Prestige Economy, we have added some new ways to gain Prestige Credits. You can now gain them not only by unlocking Prestige in Ghost War, but via progression through the Campaign challenge system, Ghost Mode and Tier 1 Mode. PVP voting, PVP progression, and PVP Ranked Seasons will also yield Prestige Credits. We have added the possibility for players to text chat inside the PC menus, either with every player inside the session, or simply with their own squad. We introduced a new post-match screen where the winning team is showcased along with info about its members, while also showing their equipped victory poses. You can now see which players are in a squad while matchmaking and playing online. All Drones have had their maximum marking range decreased to 250m: Drone HUD's will now signal this. Spec Ops and Ghost War Battle Crates have a new range of customization items. We’ve added new Rainbow Six Siege Operators to our current list of Icons: Jäger, Blitz, Zofia, Vigil, Blackbeard, Capitao and Jackal. Icons are only available through our Battle Crates. This Rainbow Six Siege themed pack contains items that will help you achieve the look of your favorite Siege Operators. 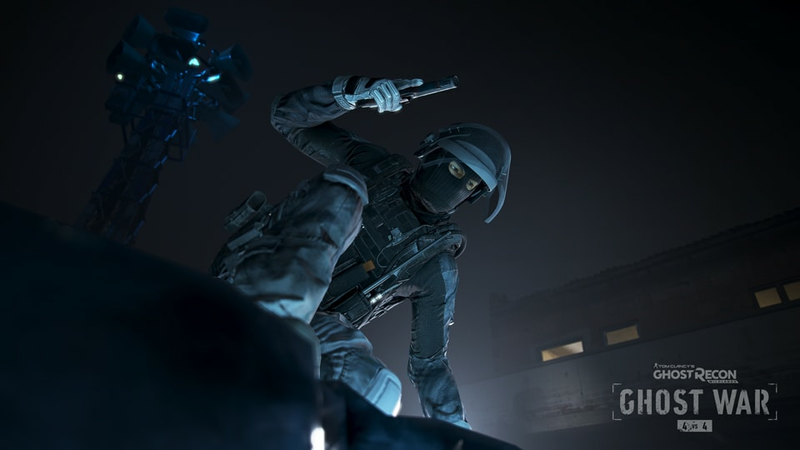 For both PVE and Ghost War, the Pack Revenge will contain a 1 Hole Balaclava, a Wrapped Shemagh, a Caveira Icon (including her iconic CQC), and a new Voice Line and Emote. The pack will also contain the 416 Rifle and the Luison weapon skin that are both available for use only in PVE. Please note that Caveira Gloves only unlock the position of nearby enemies in PVE. - Fixed an issue on the Store page where the Class Training Pack description mentioned "Prestige Points" instead of "Upgrade Points"